We have been honored to collaborate with Miyachi Unitek (www.miyachiunitek.com) on multiple projects over the years. We provide a variety of motion components, laser delivery/focus heads and components, as well as customer specific fixturing and parts handling. Miyachi Unitek then integrates our components along with their lasers, motion control electronics, enclosures and operator interfaces to provide a complete turnkey solution to their customer's unique requirements, which is backed by Miyachi Unitek's worldwide service and support network. Here are some examples of the kind of projects we have worked with them on. 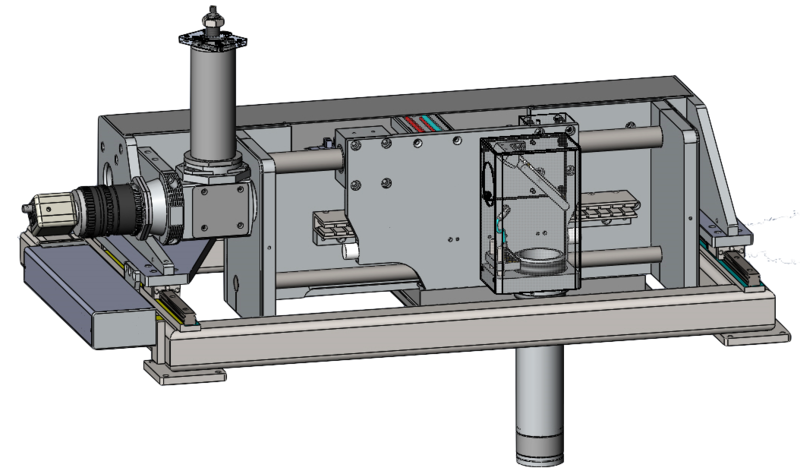 Air bearing, linear motor and linear encoder X stage with standard Y axis. This low mass, high speed X axis allows ultimate acceleration and accuracy. 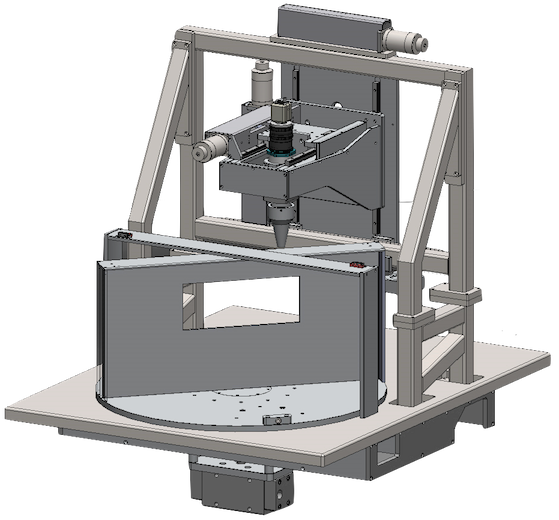 The laser delivery optics are separated with the collimator and camera mounted to the low use Y axis. The collimated beam goes from there to a mirror mounted on the X axis and then trough the focusing lens. This arrangement separates the laser fiber from the constantly moving X axis thereby removing the load of moving the fiber from the axis and reducing the stress that much movement would put on the fiber. 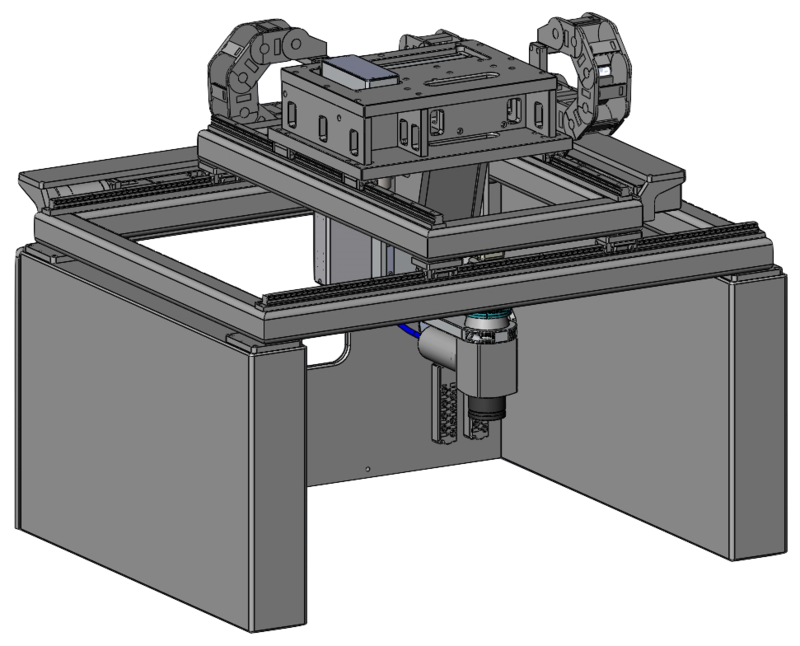 Large precision gantry system providing 20” of X axis motion, 16” of Y axis motion and 8”of Z. 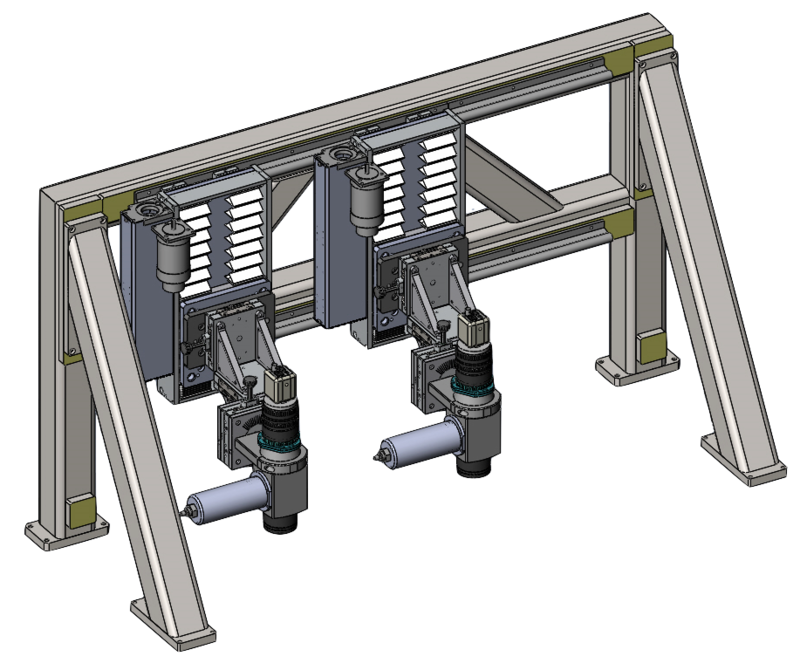 Supported on granite legs it provides plus or minus accuracy and straightness of < .001 over the full travel.